Patxi Montero and Daniele Boccaccio have already recorded for Brilliant Classics the three sonatas composed by J.S. 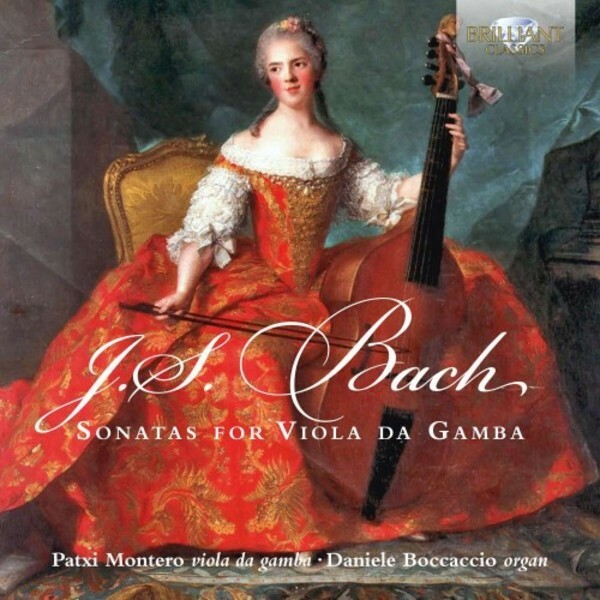 Bach around 1720, when the viola da gamba was already an archaic instrument, superseded by string bass variants such as the cello and double‐bass, for their greater volume, projection and reliable tuning. However, the gamba�s multiple strings and barrelled sound‐box gave it a unique, speaking quality that continued to fascinate composers; long after its high noon as part of a viol consort in 17th‐century chamber music, Bach wrote not only these sonatas for the instrument but obbligato parts in various cantatas and at the expressive crux‐points of his St John and St Matthew Passions. The earlier recording by Montero and Boccaccio is available within the latest version of the Complete Bach Edition; for this new recording, however, the accompanying instrument is not the usual harpsichord but a chamber organ, in the church of S. Antonio Abate, Padova, Italy. Such an experiment in pairing the softly-spoken timbre of the gamba with a sustained keyboard instrument has been undertaken before in this music, in a recording with accordion, but not with an organ. Patxi Montero is one of the foremost viola da gamba players of this moment, he frequently collaborates with Early Music groups such as Concerto Italiano, Il Giardino Armonico, Zefiro, Europa Galante and conductors Rinaldo Alessandrini, Diego Fasolis and Fabio Biondi. Daniele Boccaccio has already made a highly acclaimed recording for Brilliant Classics of his own organ arrangements of Bach�s violin concertos (94829).